GrowFX is a plugin for 3ds Max, allowing to create any kind of plants, and other objects of vegetable similarity. 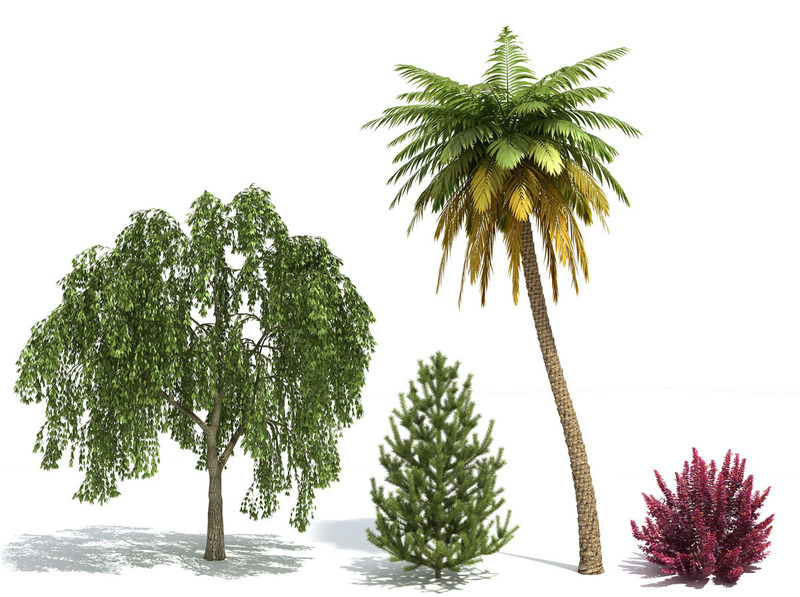 One GrowFX object can be used to create several plants of the same kind by their corresponding distribution either by starting points, or on any object surface. If surface distribution is chosen, values of some parameters can be controlled by texture maps. You can, for example, control density of plants, their growth and other parameters. By default, an object has almost no parameters. The user needs to specify parameters by adding required components. Consequently, the quality and look of a plant depends on the ability of the user to work creatively. GrowFX is completely compatible with 3ds Max, many parameters can be animated. There is also MAXScript access for managing components and editing some parameters. The Affects engine allows the user to bind parameters to each other to create dependencies. For example, the length of the branches can vary depending on their position on the tree trunk. Or the length and diameter of the branches themselves can depend on the length of the tree trunk. This allows to use the length of the trunk to change the age of the tree as a whole. For more info, please see Affects FAQs.